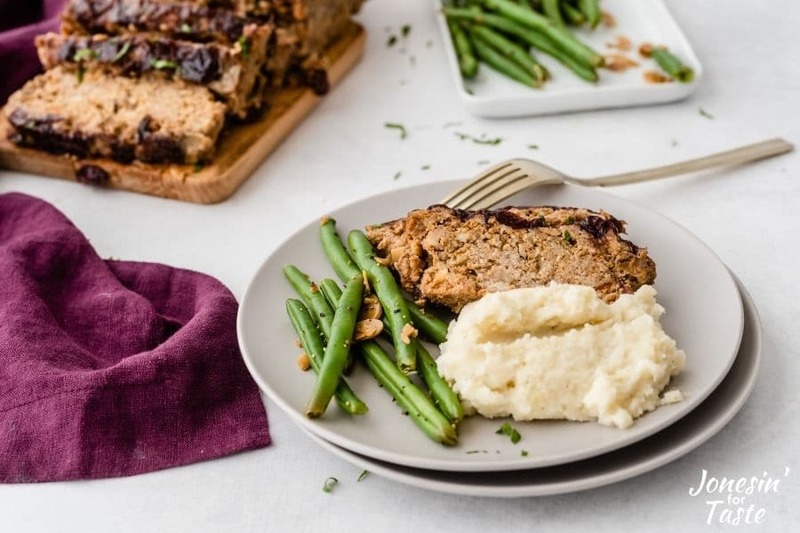 Cranberry Turkey Meatloaf gives classic meatloaf a lighter holiday twist with cranberry sauce and ground turkey. I know that meatloaf can cause many a person to turn and run. But really it shouldn’t! 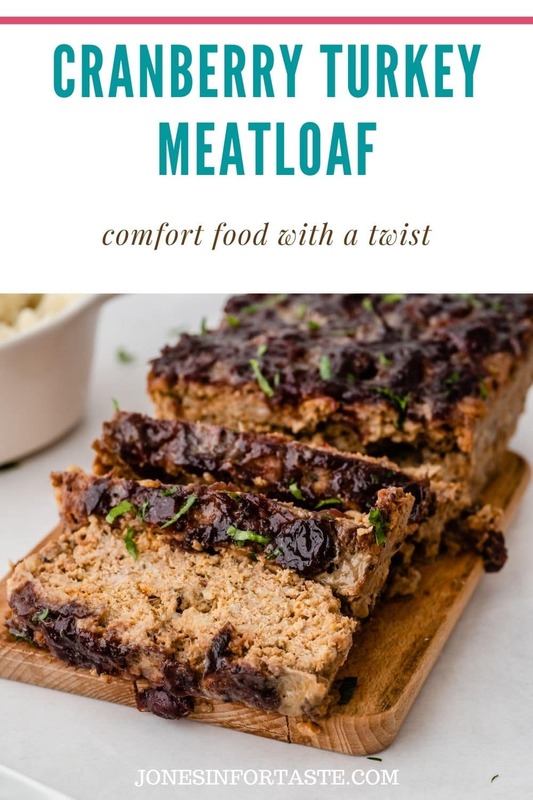 The classic meatloaf I admit can be a touch boring although sometimes having a good cut of meatloaf with gravy and mashed potatoes sounds pretty good to me! 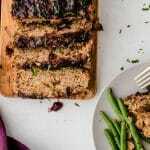 That doesn’t stop me from playing around with how it’s made, like with this Slow Cooker Luau Meatloaf, or what’s in it. 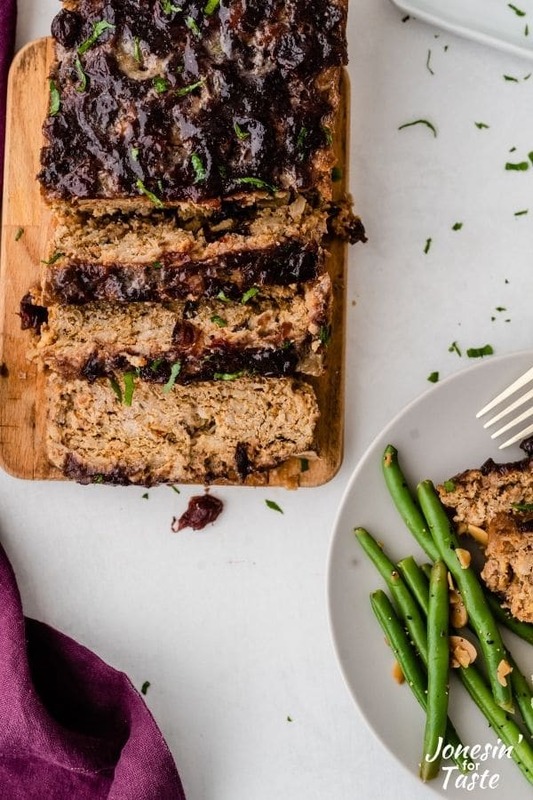 I had saved a recipe from an All You magazine from 2013 which had a recipe for Turkey Meat Loaf and a cranberry glaze that was made in the slow cooker. 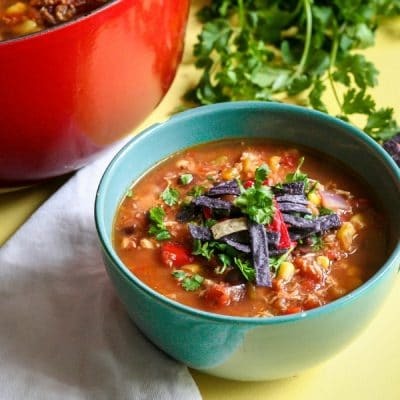 Although I love my slow cooker sometimes it just doesn’t work out. So I changed up the method and messed with the ingredients a bit to come up with this. 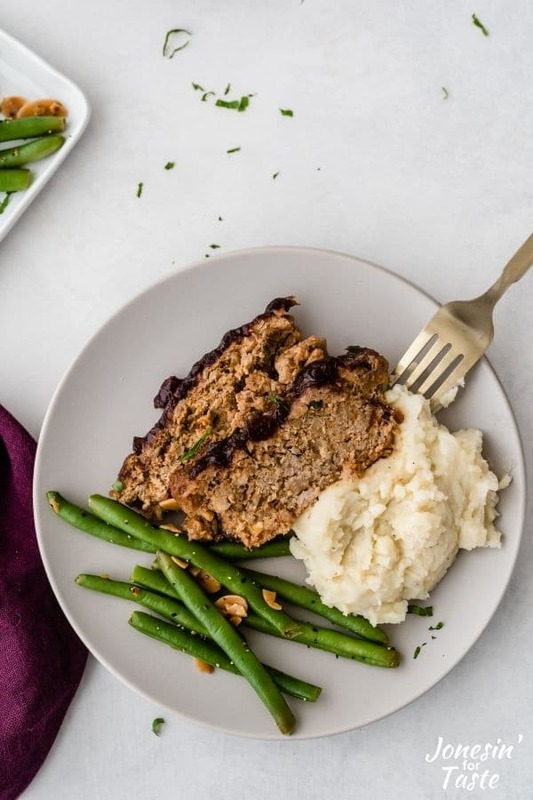 I love that turkey is a much lighter alternative to traditional ground beef so you don’t get quite the same heavy feeling after eating this meatloaf. The cranberry adds a lovely touch of sweetness and my kids ate it up which is always a bonus. We paired ours with sweet potatoes which for me is a really lovely combo. If you wanted an even juicier meatloaf add in the extra half can of cranberry sauce to the meatloaf itself. 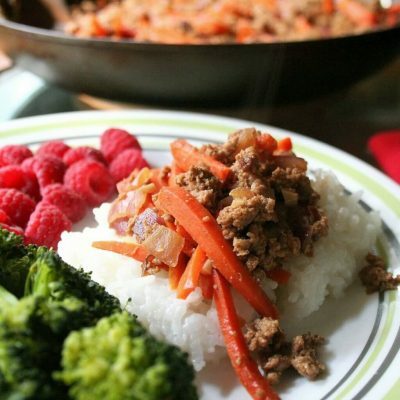 My only disappointment with this dish was that my whole family gobbled it up so there was no leftovers! 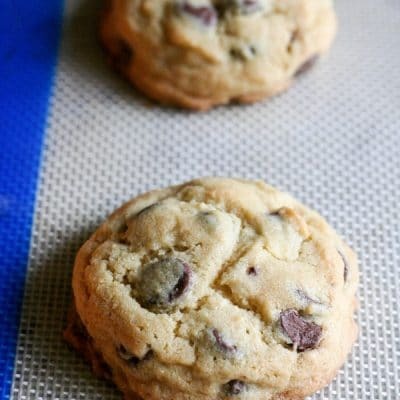 Preheat oven to 350 degrees F. Prepare a loaf pan with cooking spray. In a bowl, combine ketchup, Dijon mustard, and cranberry sauce. Set aside. 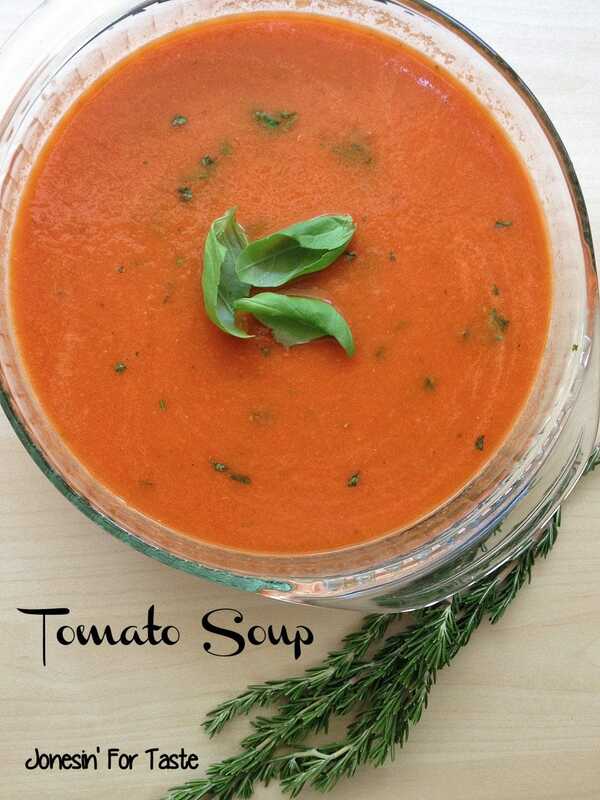 In a separate bowl, combine the remaining ingredients and gently press into loaf pan. Pour cranberry mixture over the top of the loaf and spread to cover the top of the loaf.